The remuneration management system is been undertaken by the Human Resource Management of the company to increase the performance of the employees. The remuneration system is stated to be the compensation that is been provided to the employees to increase their productivity, performance and interest in the organization (Turner, 2009). In the particular study, there will be a crucial analysis and evaluation on the different conceptions, approaches, issues financial demands, social obligations of remuneration management system in the HR Assignment Help. A remuneration management system is an approach that is been executed by the HR management of the company in relation to evaluate and analyze a number of compositions to be provided to the employees as per the performance and contribution of the organization. 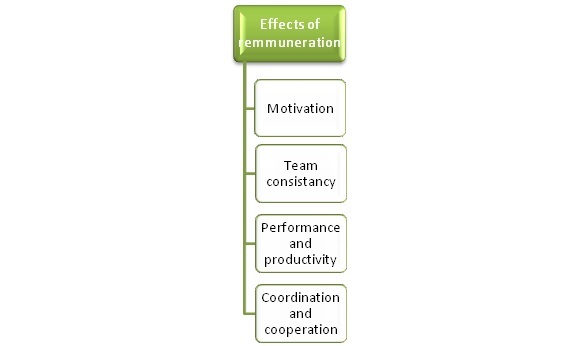 As per (Huerta-Arribas & Larraza-Kintana, 2010), it has been stated that remuneration conceptions increase the interest and attraction of the employees in the organization in relation to enhance the job performance contribution and determinations of achieving organizational goals more effective manner. As per Liff (2009), it has been evaluated that the financial rates of remuneration in health and care organization are usually stated an extra pay of 2% to 6% for the employees, 5%-10% for the management and above 10% for the top level management of the company based on their salaries. For example- In the Baxter health care, a UK based healthcare company makes payments to the sales manager’s £23000 increase pay scales by 5-10% as recognition. The product managers pay is £45000 engages remuneration rate of more than 10% (Linn, 2009). Thus, the management of the company engages a proper system of management, analysis and evaluation of the remuneration providing system in the health care company. There are majorly two type of methods that is been used by the healthy and social carte company the relation management in the remuneration system. Time rate method is one of the major methods that is been used by management of the health service company that is directly based on the time contribution of the employees to their prospective job roles provided (Armstrong & Murlis, 2007). The employees in the organization are been paid as per hourly basis, daily basis or weekly and monthly basis. As per the management of the organization it has been stated that the implementation of this particular method saves resource time and money and declines the chances or any kinds of errors or accidences in the workplace. The particular method is been engaged to increase a quality output from the employees of the organizational management. The Human Resource Management states that the remuneration systems based on the particular method increases and influences employees coordination and cooperation in the work place (Gully, Phillips & Tarique, 2009). In the other hand the Price rate method is been used in providing the remunerations to the employees of the organization based on the units or product volume been produced by the employees of the organization. The Human Resource Management of the healthy services analyzed that the methodology of providing remuneration to the employees is more based on the quantity rather than the quality of the output produced by the employees in the organization. In relation to the supervision, the method directly effects to the unit per production of the company, hence the increase in performance does increase in the productivity of the company (Mulkeen, 2010). As per the analysis, the remuneration systems is been engaged in the organization in relation to enhancing the productivity of the company by increasing performance of the company. It has been stated that remuneration is been stated that the remuneration system certainly increases the motivational approach of the management towards employees. There is different range impacts that is been made by the remuneration in the company relates to both the workforce and company productivity in the market place (Farndale & Paauwe, 2010). Motivation is one of the major impacts that increase the productivity and perform one of the employees in the organization, Team consistency is another prospect that increases more proper coordination and collaboration is the engagement of remuneration of the group performance of individuals in the organization. In the health service company, the management uses team remunerations to increase the quality of health services providing to the customers visiting in the company. The factor that is been affected by the remuneration system engagement in the organization is the morality of employees. Lall & Zaidi (2010) mentioned that the involvement of remunerations creates a proper equality among the employees. The Human Resource Management provides remunerations or compensation pay as per the most productive average productive and employees been increasing the performance with start. The top level of the business organizations are major individuals engages decision making on the remuneration and incentive providing based on the personal and group performance of the managers and employees in the organization. In the health and service company, there is an engagement of remuneration committee formed in the organization that is been directed by the top level management of the company (Kamoche, 2009). The health services company management addresses with different finance assignment help demands by the skilled and experienced candidates as the remuneration, based on such demands the principles are been prepared and decisions are been taken by the management of the company. In the large health and service firms top executives demands for the rise of 5% to 10% of salaries that is £50000-£70000 increments. Whereas managers in the organizations are been and range of pay scale £30000-£50000 expects remuneration rate rise of above 5%. Their demand for salaries and remuneration rising is been increased to 3 to 4% in the health and service company expecting earnings for managers more than £55000. Thus management of the organization creates principles that are made for critical decision making based on the demand and expectation factors of the employees in the organization to meet their basics and increase their productivity (Andolsek & Stebe, 2009). There are different principles related to the remuneration management system of the company such as remunerations been provided to the employees of the company need to be deserving, completive oriented but not based on the leading market basis, remunerations are not been evaluated as per the employees region, religion, age or nationality, remunerations need to be accurate and appropriate as per the performance of the employees to avoid over confidence or over performing of the employees in the organization. As per Turner (2009), the principles of remunerations majorly include high-quality performance in Human Resource Management with more clear and specific goals and focus that increased the productivity and contribution of the employees to meet the organizational objectives. The principle engages an effective impact on the employee’s attitude and reactions to work hard. The remunerations need to be directly based on any particular goals to be archived by management, this principle states that the setting remuneration is based on meeting the current targets goals and objectives of the organization it makes a loose impact in the long term goals to be archived in the organization (Judge & Ferris, 2010). The terminations of employees in the organization provide other employee’s opportunities to enhance their performance to achieve the top positions left vacant. The principle of remuneration originates a desire to archive more in relation to the current performances been provided by the employees in their particular job roles. Another principle of remuneration states the extra benefits to be provided to the employees for their extra contribution performance and productivity of business (Barney, 2008). The remuneration management systems permits to provide extra payments to the employees neglecting merits and demerits’ of the training program executed for the employees. Acknowledgement is one of the major principles of the remuneration that assessed as the loyalty of the employees can be gained for the organizations and for their particular job roles in case of providing proper and appropriate rewards as per their performance and contribution in the Organizational Management (Munoz, 2012). The external competition is one of the major issues that is faced by the management of the company related to the remuneration management system, the company establishes the pay rate of remuneration provided by the employees in the organization that usually competitors with the remuneration rates been provided by other company to the employees. The more remuneration rates provided by other company attract the employees that decline the employee’s engagement and retention in a particular origination (Lepak & Snell, 2009). Legal implication is setting up of the remuneration for the employees are stated to be other issues that affect the equity of the firm. As per the legislations that company has to pay a limited rate of remunerations to the employees that limit the motivational level to be impacted on the employee’s performances. As a result the employees try to compare the remuneration rate with the other companies and create a de-motivation to decline in the performance as per not meeting the basic needs of the workforce in the organization (Andolsek & Stebe, 2009). As per the analysis and evaluation, it has been acknowledged that the remuneration management system is been engaged in the organization to enhance the employees motivation that increases their performances. It has been evaluated that the remunerations are the part of the motivational approaches and part of employees basic needs that is been to be fulfilled by the employees in the organization. The analysis evaluates that there are different principles, approaches and methods that is been used by management to make financial decision on the remuneration system for employees in the organization. In the large health and service firms top executives demands for rise of 5% to 10% of salaries that is £50000-£70000 increments. Whereas managers in the organizations are been and range of pay scale £30000-£50000 expects remuneration rate rise of above 5%. There demand for salaries and remuneration rising is been increased to 3 to 4% in the health and service company expecting earnings for managers more than £55000. The issues such as external competitions decrease interest of employees to retain in company, legal issues puts limitations in increasing motivational level of employees and lack of acknowledge and learning creates misunderstandings and origination of wring attitudes in the company. Thus management of Health services company need to evaluate basic conceptions, implemented the basic principles and stove the basic issues been raised in remuneration management system in relation to avoid performance hindrances and increase performance of the employees in the organization. As per the study, remuneration management system is a compensation providing system that increases performance contribution and determinations of employees in achieving organizational goals more effective manner. It includes different method of evaluating remunerations in the origination along with different principles. The study also provided a brief evaluation analysis and estimation on the effects of the remunerations over the employees and certain issues that are been faced by the management in designing remuneration system for the employees in the organization. Get HRMT11011 Human Resource Management Essay Assignment written by experts. Get ACC200 Report Assignment written by experts.